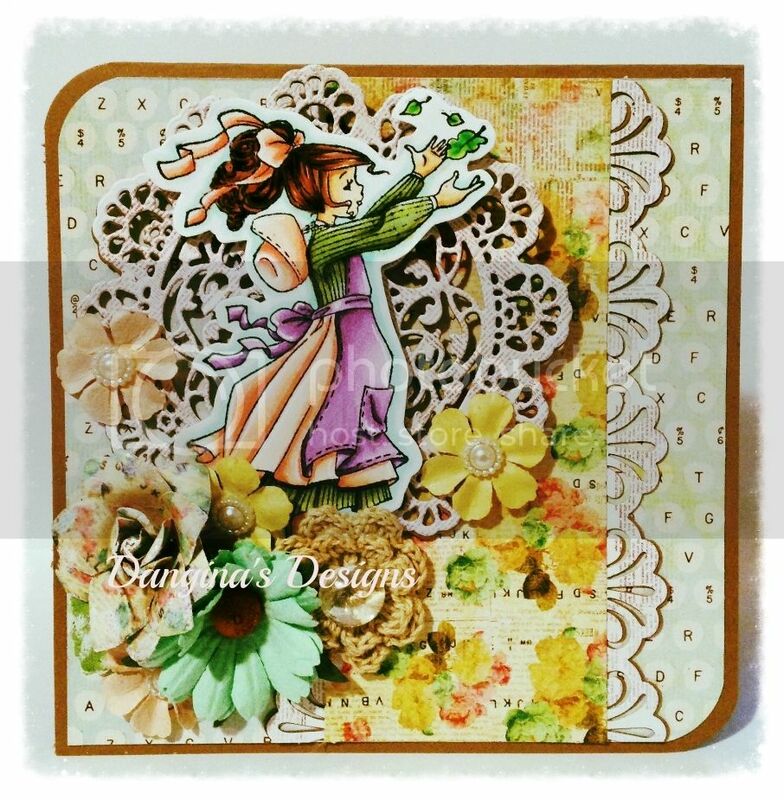 I'm back to share a card I created using the Prima Coffee Break Collection. The gorgeous image I worked around is Fall Willow Catching Leaves. Isn't she just beautiful? I really enjoy coloring her up not only in Fall but anytime of year. I colored her up with my Copic Markers and placed her on a White Prima Doily that I layered over a brown. I used Coffee Break 6x6 paper pad because, there is some really gorgeous pages in this stack. The Cafe Mocha and Cappuccino Flowers are just perfect! I wish they would make them in every color. I always use my favorite glue Mono Multi Liquid Glue from Tombow and Candi Fix Foam Pads for dimension. Best Glue Ever works great too! You can find these products and more at Loves Rubber Stamps Shop and if you would like to join in the Loves Rubber Stamps Challenge, We would Love to have you!